Katie Verling draws upon her own experience as an acutely ill patient to advocate for the receptive arts as a means of addressing the anxiety, boredom, isolation and sensory deprivation of patients. My very first experience as a hospital patient was in 2007 in the Accident and Emergency Department in Limerick University Hospital. My severe pain and sickness was exacerbated by the hard, plastic chairs stuck together in rows where I could find no comfort. The noise of children crying, people moaning or cursing, angry relatives, phones ringing, and the dominance of a television broadcasting other people’s problems drove me to distraction. To add to my intense pain and nausea I felt fearful and impatient. My next experience included an intimate physical examination; now I understood the loss of privacy and dignity patients experience in an overcrowded A and E unit. This was followed by endless waiting followed by transportation on a trolley – while lying flat – to some other unfamiliar place. I was terribly bothered; I had no markers to indicate where I was going while still not knowing what was wrong with me. I was diagnosed with Acute Lymphoblastic Leukaemia (A.L.L. ), a blood cancer that develops rapidly, is rare in adults and requires comprehensive and intense treatment. This diagnosis led to long stays in hospital between 2007 and 2009 mostly in St James Hospital, Dublin and I have since continued to be a frequent health service user, requiring support from different sections of the health service. I have worked in the creative sector almost all of my life and grew up in an artistic household. I am not an artist. I am a producer, curator and administrator. In this article I draw upon my experience as a patient to offer those involved in delivering arts programmes in hospitals an insight into the reality of being an acutely ill or long stay patient. I hope it will be useful in planning artistic interventions into hospitals. My treatment plan was that, following intense chemotherapy treatment I would be suitable for a bone marrow transplant. My first chemotherapy treatment began two days after my diagnosis in St James’ Hospital in Dublin– the only hospital in Ireland doing bone marrow transplants at that time. Over the following year and a half, I spent almost nine months in, or attending hospital, mostly in Burkett’s Ward in St James’. Burkett’s is a specialised unit of 21 isolation rooms, designed for blood cancer patients undergoing intensive treatment. Total isolation is necessary as the treatment is designed to destroy the cancer cells which are carried in the blood and as a consequence the immune system which is blood borne is also destroyed. I spent periods ranging from one to seven weeks in isolation during which time I could not even smell or hear the arrival of the dinner cart or the medical team, hear the nurses’ conversations or the banter between cleaners and ward assistants. There were times when I ached for real sensory stimulation other than television. My physical ills and side-effects were managed by the medical team. However, emotions such as anxiety, boredom, isolation and sensory deprivation were harder to treat. I believe that integrating creativity and the arts into patients’ environments can play a role in meeting these needs. We hear much of participatory arts programmes in hospitals whereby patients are invited to make art, music etc. However, many severely ill or immunity-compromised patients cannot avail of such programmes for a number of reasons ranging from risk of infection to the patients’ inability to concentrate on, or physically carry out, any activity. This is where the receptive arts involving listening, reading, hearing, seeing and viewing have a major role to play in improving the in-patient experience and I suggest that their full potential has yet to be fully realised in the acute hospital context. Each area in hospital offers distinctive and specific visual, aural and olfactory experiences. Whether in corridors, treatment rooms, waiting areas, cafes, toilets, geriatric or oncology units, the sensory experience is different. For the patient these are reminders that the environment is unfamiliar and challenging. Creative interventions could be made to modify or reduce some of these anxious or distressing experiences. For example, the (sometimes) invasive experience of physical examinations could be less upsetting if the physical/ aural environment were more visually engaging. Similarly, imagine what a difference sensory soothing environments in A and E, MRI and CT scan clinics, or in endoscopy areas could make? How much less stressful it could be? Could patients be helped to cope better with pain, or mental distress through engaging, stimulating or entertaining images, light or sound installations? Imagine if television screens and radios were banned in A and E departments? And in waiting rooms, treatment rooms and hospital wards? What a difference it could make to the patient? To realise the importance of this, consider waiting in a psychiatric day hospital with 20 other mental health patients and being exposed to the real life dramas of dysfunctional families on daytime television! Or watching repeated images of the assassination of Benazir Bhutto while awaiting a critical meeting in a crowded oncology clinic? I am not against television per se, but to use it as a diversion for numbers of isolated individuals in pain – mental, physical or emotional – is careless. Some arts programmes in hospitals have made genuine efforts to enhance the patient’s environment through art collections and per cent for art commissions. However it is worth remembering that although the average hospital stay in Ireland is three to five days, many patients spend long or repeated periods in hospital and it would benefit those patients if the environment was regularly refreshed, through for example, the rotation of artworks. Creative approaches to the challenges of clinical environments make a difference to the patient both consciously and unconsciously but for the positive impact on patients to be maximised, there are a number of environmental and psychological factors to consider from the point of view of the patient that can probably best be identified and problem-solved through multi-disciplinary teamwork involving architects, medical and nursing experts, artists and patients themselves. Katie Verling is an independent producer/ curator with a particular interest in producing accessible cultural events, and in promoting the work of emerging or little known artists. 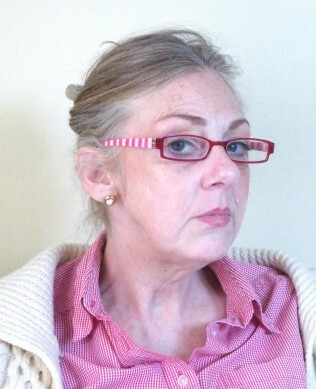 She has extensive knowledge of the Irish cultural sector where she has worked for over 25 years. Her experience is broad covering the visual arts, music – traditional and contemporary, television, and the development of Glór – Irish Music Centre in Ennis. She has been actively involved in advocacy campaigns (e.g. Arts Act 2003), cultural strategy (traditional arts policy for Arts Council, 2004) and the development of new festivals and events (e.g. Make a Move, Urban and Street Art, Limerick 2012, King’s Island Fair Day, 2012, Limerick Spring Festival of Politics and Ideas, 2014). Thank you to Katie Verling for one of the best ‘Perspectives’ I have read for some time. I have just completed my PhD research on ‘Aesthetic Deprivation in Hospital’ and it is refreshing to see my findings concurring with Katie’s views. It appears that the idea of aesthetic deprivation in healthcare is a relatively new one – certainly the literature in this field is almost entirely focused on the role and potential benefit of participation in arts for patients in healthcare contexts. I conducted 150 surveys and 20 indepth interviews with older patients at Tallaght Hospital and one of the key findings of my research is that receptive arts are incredibly important (e.g. listening to music, reading, viewing art). Perhaps the arts and health field is overly concerned with participative art? My research also highlighted the importance of patients having control and choice over TV and other aesthetic activities, as well as the importance of continual consultation with patients as the people we serve. Perhaps it is time for funding for arts and health to move from being purely about participative or collaborative arts engagement? Perhaps this model of working can begin to share space with a whole range of other arts and health interventions, be they receptive arts, performances, exhibitions or other modalities? Sometimes when I am ill, I just want to listen to music rather than play my trombone. Thank you Katie for your fabulous writing. I have found your piece intriguing I am currently a 4th student in DIT at the moment I am doing a thesis on how art and creativity facilitates the healing process. Would you give me permission to incorporate your experience into my thesis I would be most grateful because I feel that you have expressed such relevant points. Thank you for reading my email. I recently had surgery in St Vincents hospital and even as I was only there for a short stay, I found a painting in my room which helped my mind wonder and I found it very relaxing. Your article reminded me of that thanks.